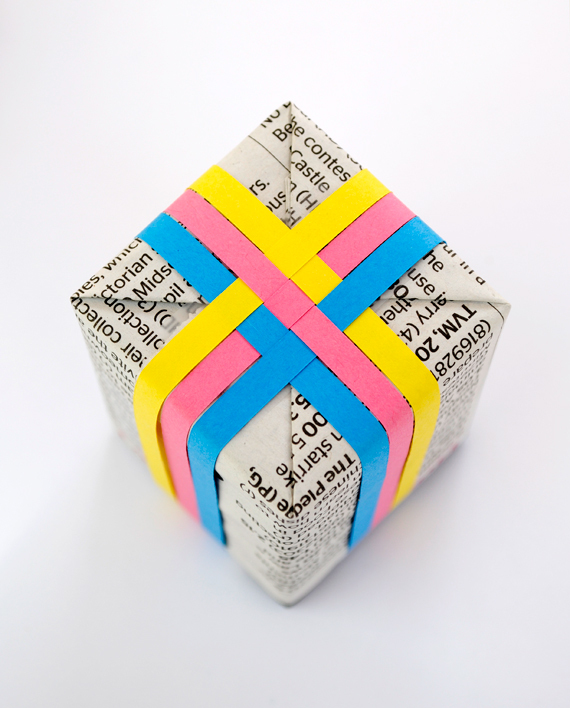 Wrap your gifts with creativity. 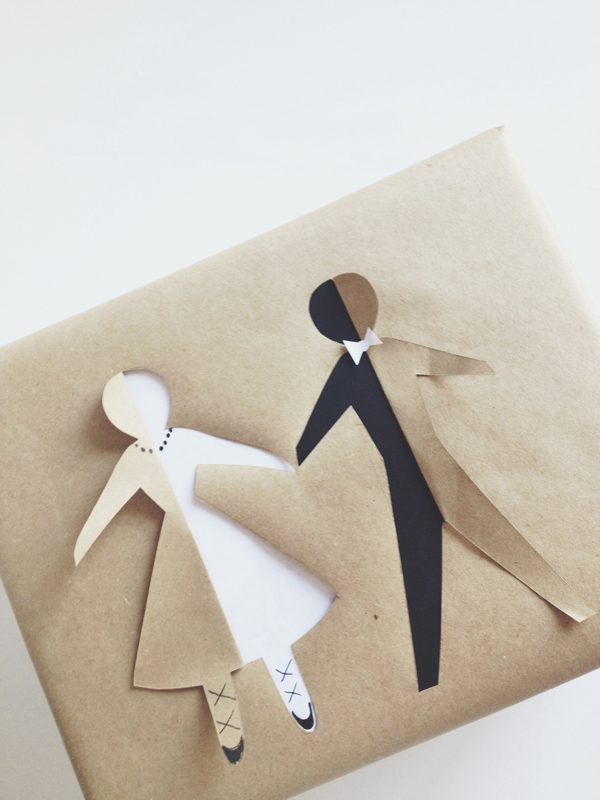 Here are 9 cute DIY gift wrap ideas to get you started for just about any occasion. Ideal for weddings or bridal showers. Via Brooklyn Bride. 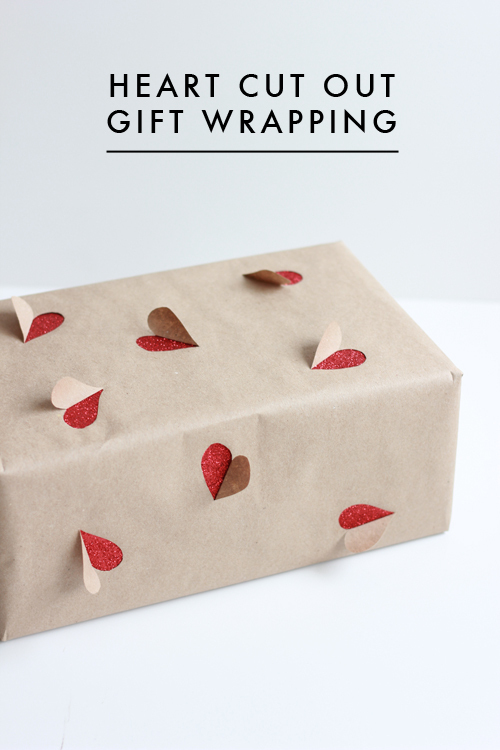 Another paper cutout gift wrap idea, with paper hearts for Valentine’s Day gifts or anniversary gifts. Via The House That Lars Built. 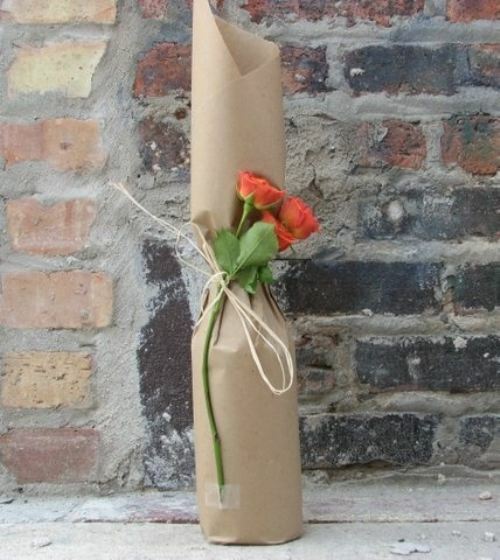 Wrap a bottle of wine in classy brown paper, twist the top and tie with a string, insterting a rose or another favorite flower. 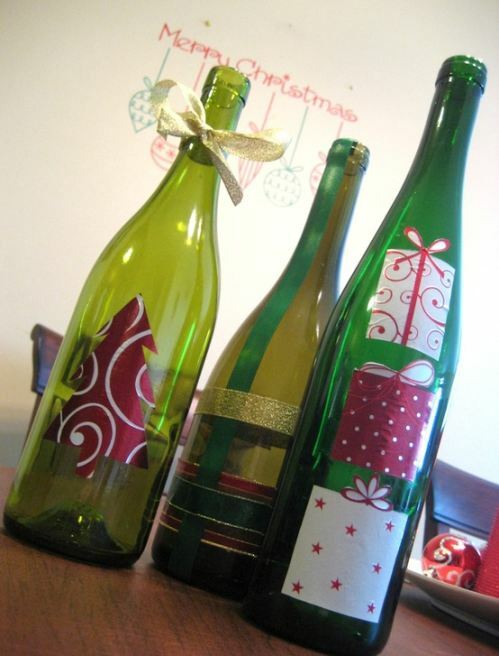 Cutout some themed shapes from wrapping paper, photographs, or printouts and tape or glue onto the wine bottle. Don’t forget a little decorative bow to go around the neck of the wine bottle. Theme possibilities are endless: hearts for Valentine’s Day, cute house shapes for housewarming, old photos for birthdays or retirement, and anything else you can imagine. Add a personalized touch to a gift card or other small items such as CDs, earrings, cash, etc., using this adorable circle cutout design. 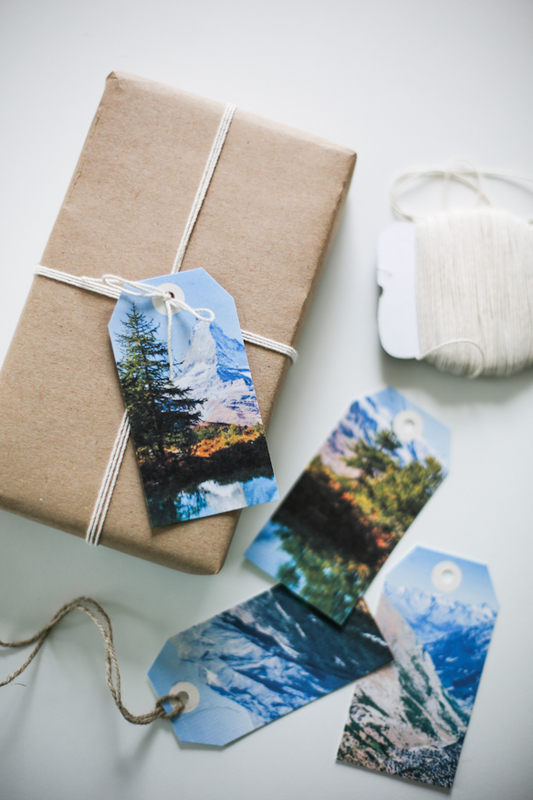 Create your own gift tags cut out from photographs. These allow you as much personalization as you desire while keeping it simple. 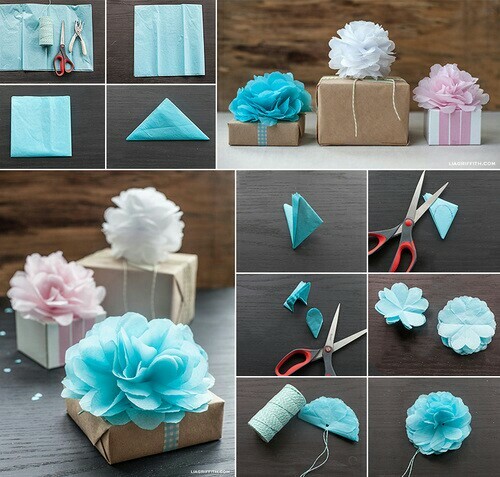 Use in tandem with brown paper wrapping. Via Fellow Fellow. A cute way to add the color and splash of a bow without actually attaching an easy-to-fall-off bow. Use themes for colors, such as pastel, bright and vivid colors, or holiday-themed colors. Via minieco. Sometimes gift bags just work best. 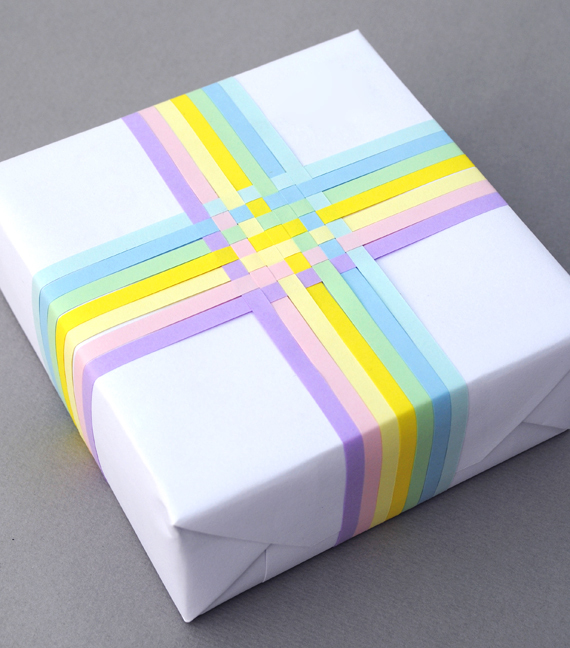 Here is an easy DIY tutorial for making your own gift bags from your choice of cutesy paper. Via Craft and Creativity. 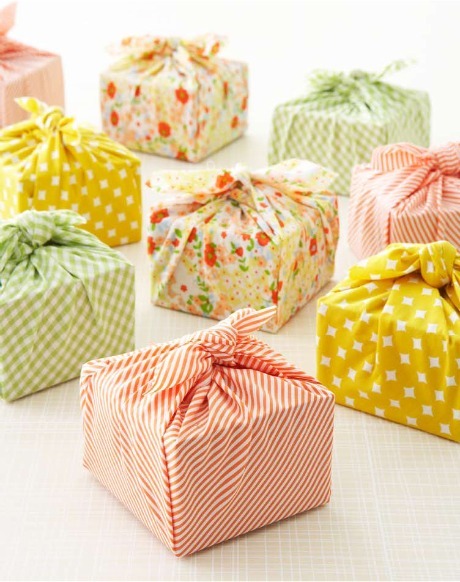 Use those scraps of old but adorable cloth you’ve been saving for easy and upcycled gift wrap. Via The Haystack Needle.